Because we feel that the issue of copyright is so important for all writers, we have chosen to present the latest update on the parliamentary review of the Copyright Act received from Access Copyright in its entirety. This message was sent out to all Access Copyright members on May 25. Please read, share and submit your story to the members of the review committee. It matters for all writers and visual artists…including you! If you are not sure what the review is all about, read our previous blog Copy that! that explains it all. Roanie Levy, President & CEO of Access Copyright, appeared before the Standing Committee on Industry, Science and Technology on May 22nd, as part of the ongoing Copyright Act review.Watch Roanie’s appearance before the Industry Committee (it starts at 16:38:00 of the video). The session was very well received and based on the nature of the questions that were brought forward by members of the committee, it is clear that the committee is beginning to appreciate that creators and publishers have been significantly harmed since the Copyright Modernization Act was passed. The outcome of the session is a testament to the hard work that our community has been doing with the INDU Committee. The number of creators and publishers who have shared their personal stories during their recent cross-country tour have made an incredible difference by putting a relatable face to the problem, making it more difficult to ignore. While this gives us all pause to feel encouraged, it is also critical that we bear down to double up our efforts and keep up the momentum. The opposition is pulling no stops and we can’t afford to either. We encourage everyone to take the time to write a submission to the INDU committee. Written submissions are meant to be brief and can be as simple as a one-page letter outlining your personal story of impact. 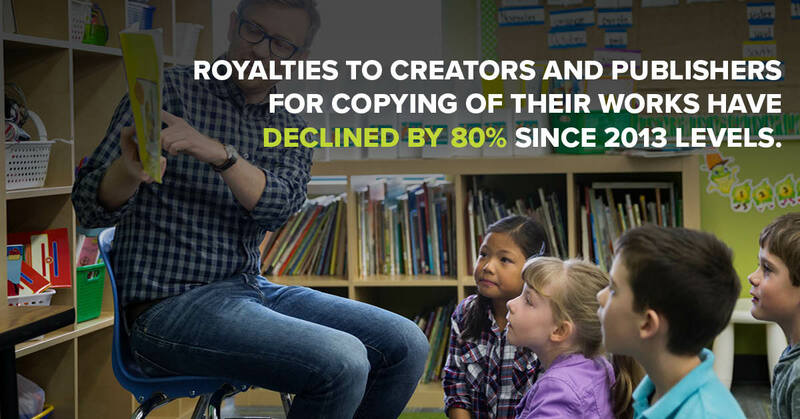 They will help to keep reinforcing that Canadian creators and publishers have been hurt economically by 2012 changes to the Copyright Act and that the continued creation of Canadian content is at stake during this review. The House of Commons has prepared detailed guidelines on making a written submission. Here are some basic things to keep in mind for a submission. As submissions will be posted online, they should not include personal contact information beyond your name. The person reading the emails is Michel Marcotte, the clerk of the Industry Committee. The email should be addressed to him. The email should include your address, email and phone number. We recommend asking for confirmation of receipt of your submission. 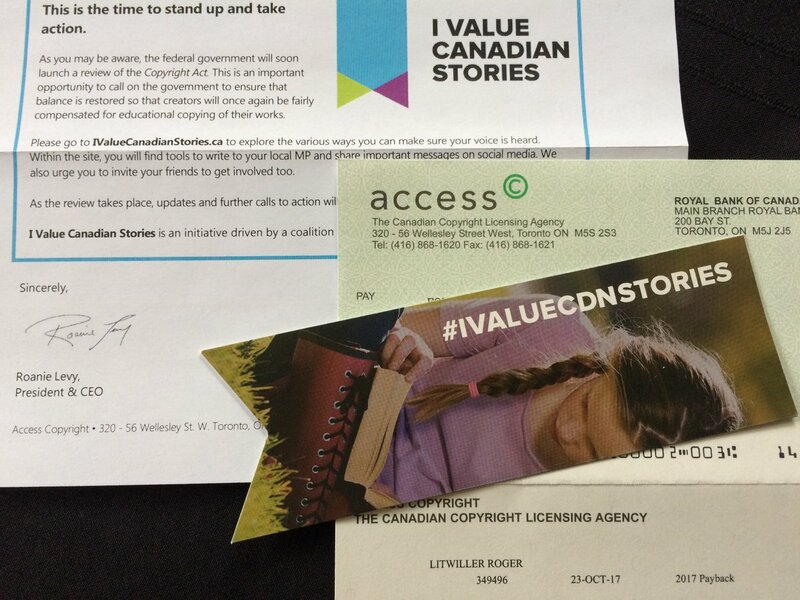 If you haven’t visited IValueCanadianStories.ca recently, new letters directed at the Committee were added in late April so please take a moment to send one today. You can also get active on social media and encourage your friends to take part. This entry was posted in Blogs, Business for Writers and tagged access copyright, copyright, Copyright Act, I Value Canadian Stories, review, royalties, writer, Writers Union of Canada. Bookmark the permalink. This information is meaningful and helpful. It opened my eyes and once again we seem to be taken advantage of by the big business of Education. Thanks for bringing the issues to my attention. You’re welcome. Feel free to share far and wide. Will do exactly that, Gwynn! Thanks for this. Excellent! Glad to hear it. Every single action makes the whole stronger. Thank you.